Better still we didn’t just drop a “Hello” but also discussed things nearest to our hearts. A glass of juice is refreshingly healthy, unlike anything else. And you don’t need a Doctor to tell you its benefits. Nevertheless, here is one single reason why you should start Juice Therapy! It helps you absorb all the nutrients in a very efficient way. The biggest problem with veggie juicing is that people don’t know which vegetables to begin with and are often put-off because they find themselves with a too strong or too boring juice. 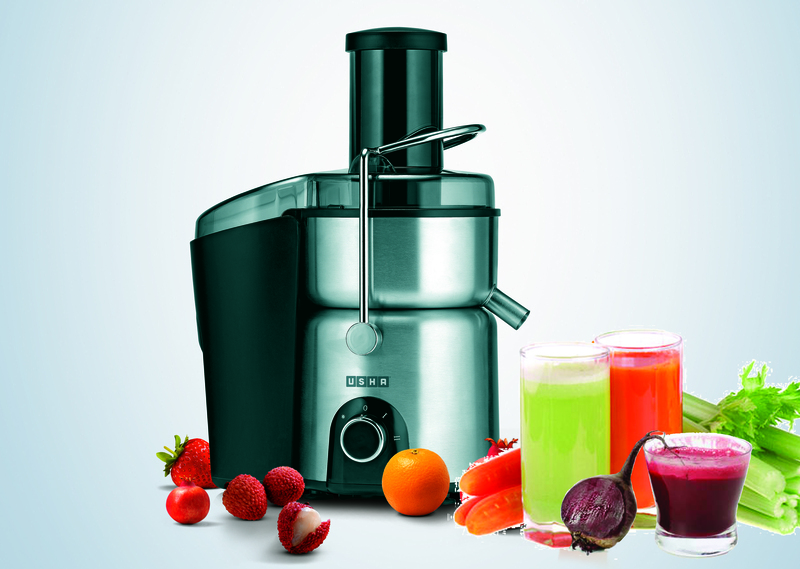 So here we are with a Beginner’s guide to Veggie Juicing. Begin with veggie juices that are palatable. Right now, you need to get used to the idea of vegetables as juices rather than going for vegetables with the most nutrients. The first five on your list should be: Celery, Fennel (anise), Tomatoes, Carrots and Cucumbers. They are the easiest to digest and tolerate. Indian Monsoons are legendary, doesn’t matter where you look: the streets, hills, Vedic literature or popular culture. However in between winter and the rains stands the monolithic summers. In recent years, (all thanks to global warming) it has taken on an even more horrific proportion. Hence, here we present you with 5 summer must haves. Don’t be fooled by the title – we are not going to talk of clothes or accessories which fashion magazines try to push down your throat with glitz and glamour. Instead for once take the title literally; these are the real 5 must have foods to beat the heat. Curd: Come summer or winter Indian cuisines across the country’s multiple cultures would be incomplete without this daily dairy favourite. Having a lot of it really helps to beat the heat. Doesn’t matter how you are consuming it from North Indian Raitas to South Indian Curd Rice. Watermelon: A favourite of fruit lovers, the Watermelon is nature’s way of saying “Sorry about the heat, but you could have some melon and stop cursing me!” With 91% water by weight and another 100% by taste, watermelons really help to keep ones cool. Mango: There are two ways of having the king of fruits – ripe and unripe. The former taste amazing and does you good, but it is the latter that will help you beat the heat and yes they taste great too. The easiest and tastiest way to consume unripe mangoes is through Aam Panna (juice). 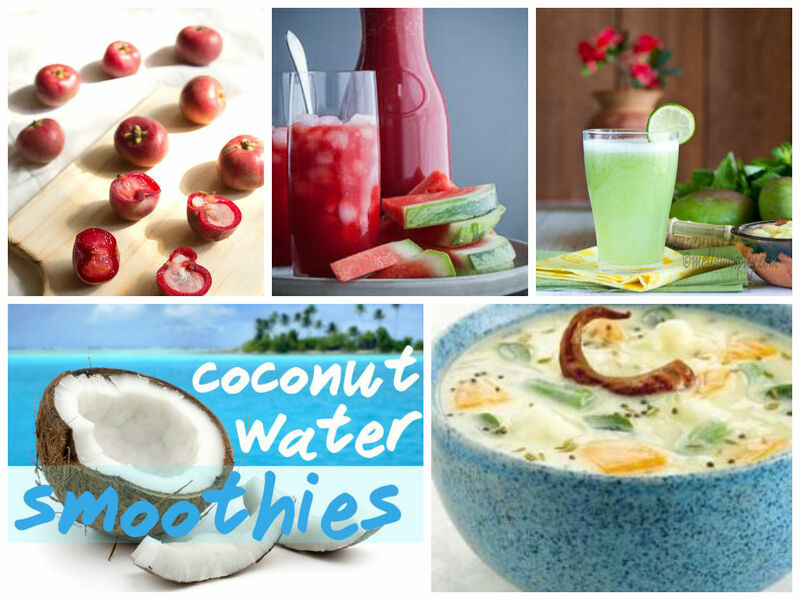 Coconut water: Don’t fear the adage “You are what you eat” Coconuts won’t make you go all nuts. Instead Coconut water helps you not only to fight the heat but also by having a high concentration of vitamins and minerals helps your metabolism. Kokum: Just as you will find Koala Bears only down under, you will find Kokum only in India. A native fruit that tastes like tamarind, Kokum juice prevents dehydration, loss of nutrients and improves your appetite. There are so many myths and legends surrounding this beverage that it has become impossible even to point to the origin of Coffee. A Yemenite Sufi mystic, a Sheik’s disciple, an Ethiopian Goat herder and an entire African ethnic group, all lay claim to the beverage’s discovery. We are not here to take sides, but to put to words some very unique Coffee phenomenon of our times, before myths and arguments take over. At some point in time or on a regular basis we all have had Cappuccino. But how many of us know what exactly does Cappuccino mean? 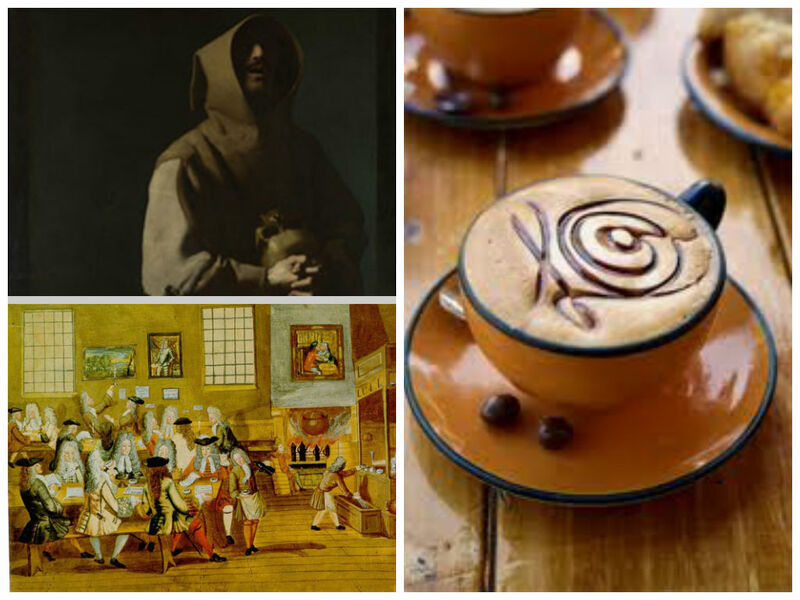 The word comes from the resemblance of the drink to the clothing of the Capuchin monks – the Catholic order of Capuchin is an offshoot of the Franciscans. As for who designed their gowns, that again is open to speculation like the origin of coffee. It was during colonial times that the various Arabica varieties of coffee such as mocha and Java got their names. These various coffee beans are named after their ports of origin. Mocha is the name of the largest port in Yemen, where nearly all African coffee beans are traded and later transported. Similarly Java is the name of an Indonesian island with trading ports. The custom of tipping waiters in restaurants also has its roots in coffee. During the 16th century coffee found its way into Europe through Venice, as the trading city state had very good links with both African and Arab merchants. Introduced as a drink for the wealthy, it spread across the various strata’s of society with the establishment of Coffee Houses. Soon such Coffee Houses began to mushroom all over Europe, loud, dirty and hectic places where customers needed to tip big to the waiters in order to receive good service. This video shows how push-ups can help build muscular strength that is important for building strength in you. Learn to do full and partial push-ups the right way! A recent social media article doing the rounds showcases great photographs that tell stories. 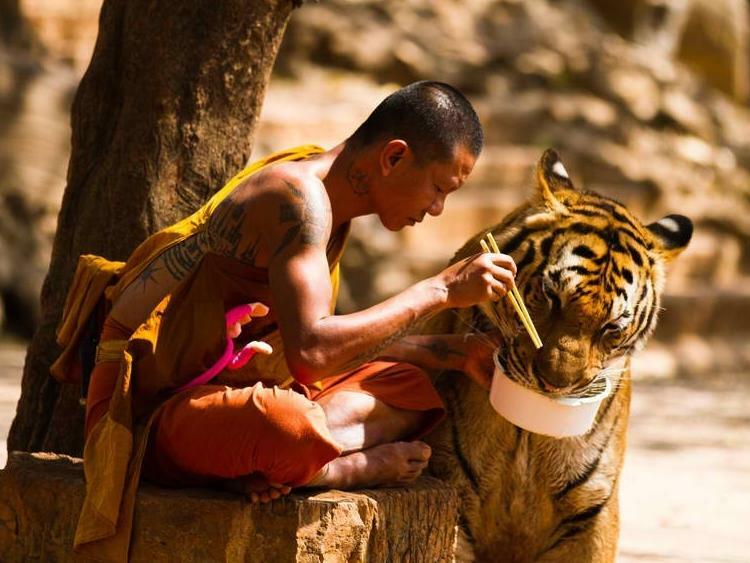 Of the many well shot tales one photo features a monk and a tiger living in harmony. It is an image that evokes the very spirit of Buddhism universally, from the jungles of Thailand to the mountains of Bhutan and Tibet. However, human wildlife conflicts are a harsh reality – a topic that will be discussed by Sonam Wangchuk, Lily Wangchuk and Lyonpo Paljor Dorji. Sonam Wangchuk has spent 24 years with Bhutan’s Department of Forest and Park Services; while Lyonpo Paljor Dorji, is the founder of the only Bhutanese Environmental Non Governmental Organization, the Royal Society for the Protection of Nature (RSPN). 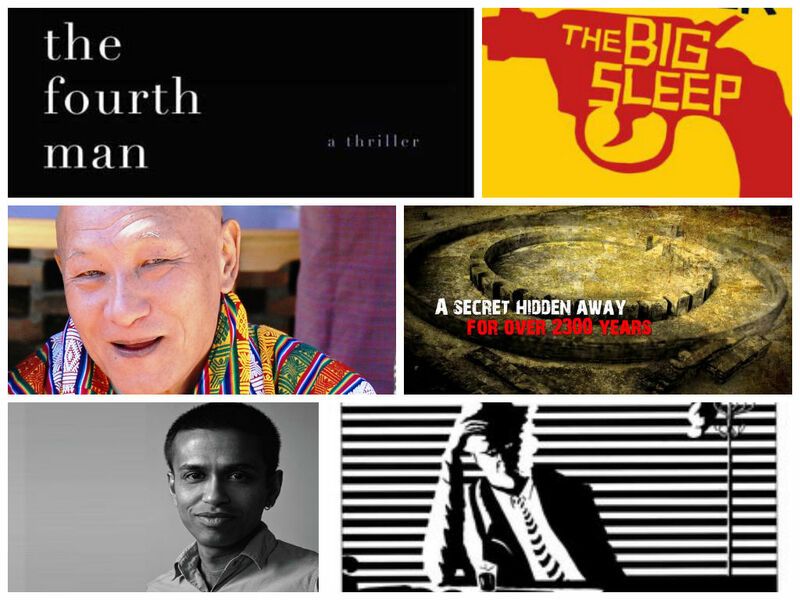 Both of them will be speaking at the 5th Bhutan Literary Festival- Usha presents Mountain Echoes 2014. Animals have always held a special place in eastern culture and mysticism, often used as a medium of communication through their stories – for instance the Jataka Tales, a collection of stories that tell about the previous lives of the Buddha, in both human and animal form. Sanjay Wangchuk, Rebecca Pradhan and Manju Wakley will be exploring this world of Himalayan animism through their session on Wild Spirits. A different aspect of the elemental world of nature will also be explored by Gavin Francis in the session Sounds of Silence and A love Letter to Antarctica. Having spent a year in the South Pole with Emperor Penguins, Francis accounted his experience of ice and silence in his book Empire Antarctica. A trip to the mountains is sheer joy add to it a Literary Fest – Usha Presents Mountain Echoes 2014, in the picturesque town of Thimphu and it becomes jubilant Catharsis! Where else will you find a balanced mix of peace, religion, words, thoughts and beauty? For those of you, to whom ‘Catharsis’ sounds Greek, it is! The Greek Geeks defined it as “the purification and purgation of emotions—especially pity and fear—through art” (yes, that quote is from Wikipedia). In the mountain kingdom of Bhutan, Catharsis happens on a daily basis. The people of Bhutan through their arts have cultivated a culture that tends to give rise to a peaceful jubilant joy every time you visit a Monastery or the time when Ani Kinley or Dolma C. Roder’s words get through your thick busy skulls. By the way both of them will be speaking at the fest. 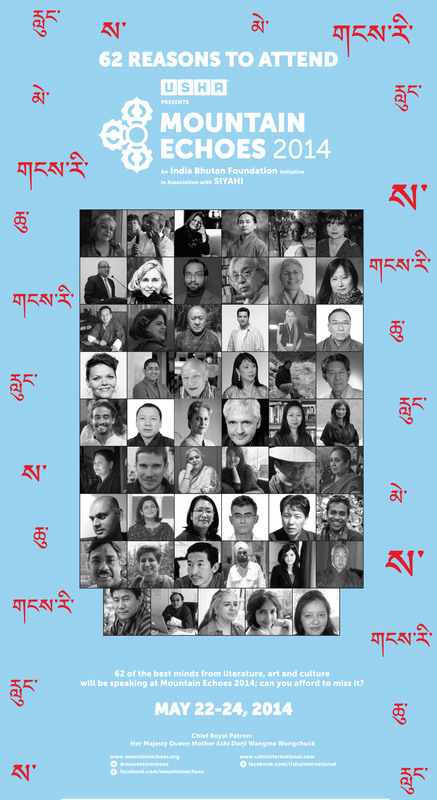 Add to that a host of Bhutanese luminaries from HM Ashi Dorji Wangmo Wangchuck, Dr. Froncoise Pommaret, Dr. Karma Phuntsho to our very own Namita Gokhale, Alka Pande, Sonia Khurana, and we just can’t wait. Apart from the literary sessions on detective fiction/thrillers and democracy, film screenings and workshops, open mic and concerts, exhibitions and culinary demonstrations await; each day beginning with traditional and spiritual performances by Bhutanese musicians like Lhamo Dukpa, Ugyen Pandey and Sonam Dorji (google them, or better still check them out on You Tube). Listen to Her Majesty Queen Mother Ashi Dorji Wangmo Wangchuck speak about the values of compassion in daily life. Share a Winter Evening with Navtej Sarna as he relates poignant tales about the human spirit. Sujeev Shakya teaches you how Buddha can be your life coach. Participate in Open Mic at Mojo Park.